The Vernal Equinox has just passed, the baseball season is beginning, it's staying lighter later and starting (slowly) to get warmer! That can mean only one thing - it's time to turn our calendars to Testober. 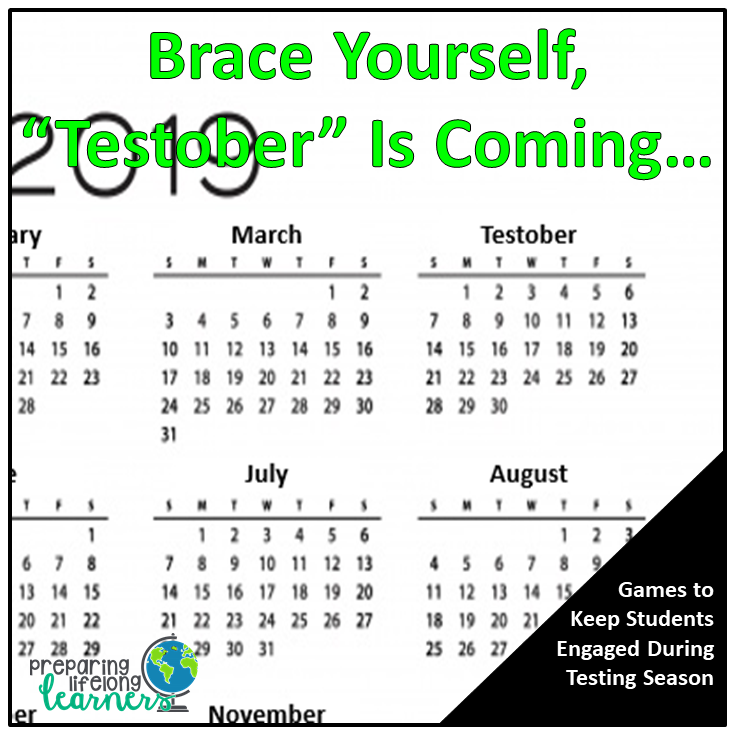 I have recently started calling April "Testober" because it seems like my students are taking one standardized test or another two or three times a week for the entire month! Talk about student burnout. So, how can we keep our students engaged and excited to learn throughout another wonderful testing season? 1) Variations of Silent Ball. We play games like "Review Ball" or "Vocab Ball" or "Map Ball" that use the same rules as silent ball (no talking, pass a ball around), except that every so often I say "Review!" or "Vocab!" or "Map!" and ask the ball holder a question. If they get it correct, they stay in. If they get it wrong, they sit down. 2) Map Races. I either have two students come to the board and race to find a map location first (winner stays in, loser gets replaced), or I point to a location and in groups, students write the name of the location or physical feature on small white boards. 3) Vocabo or other games using vocabulary cards (click here for free games that use vocabulary cards). I usually use these games as part of a scheduled "vocabulary day", but during the testing season, I have packets of our old cards ready to get out and play with. It re-enforces vocabulary in a fun way that gets the students more focused on the games than the fact that they are actually reviewing. I try to infuse vocabulary into almost everything we do. When we take interactive notes, there are specific vocabulary words that are highlighted and discussed. I also ask vocab questions during transition times (see this blog post for more info) and while we are waiting for slower writers to finish writing. But what I wanted to share with you today is what I do in the hallway. I have a deck of their vocab words that I add to each unit so that by the end of the year, I have a card with a definition on it for every vocabulary term we have for the entire year. During passing periods, I work my way through the deck asking random students for either the definition of a term or the term for a definition for any of the terms we have had throughout the year. It is very effective. Sometimes students flock to me saying, "Give me a word!" or, "Watch this," to a friend before defining a tough one. I even have a group of students I had last year who come by almost every morning to do it - and they aren't even in my grade anymore! Oh, and a quick organizing tip! I color the edge of the cards with a different color to keep track of which words go with which unit. Want to make History Come Alive? Are your students getting a bit antsy? Is their attention span seeming to shorten? Are you looking for something different to interest and excite them? 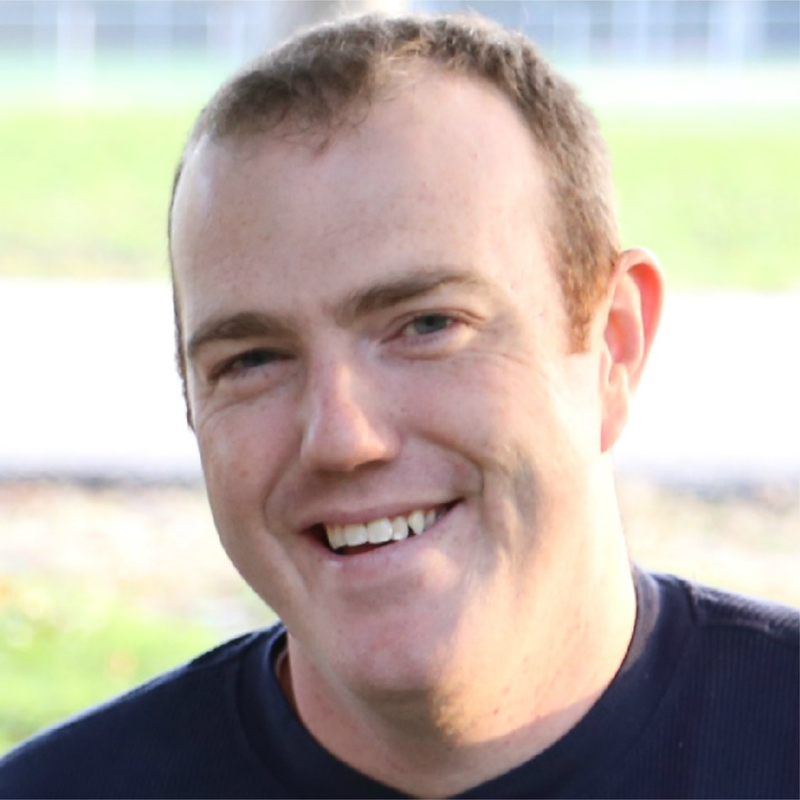 Something out of the norm that still covers critical content, but in a fun and different way? If so, my leveled readers' theater plays might be perfect for you! 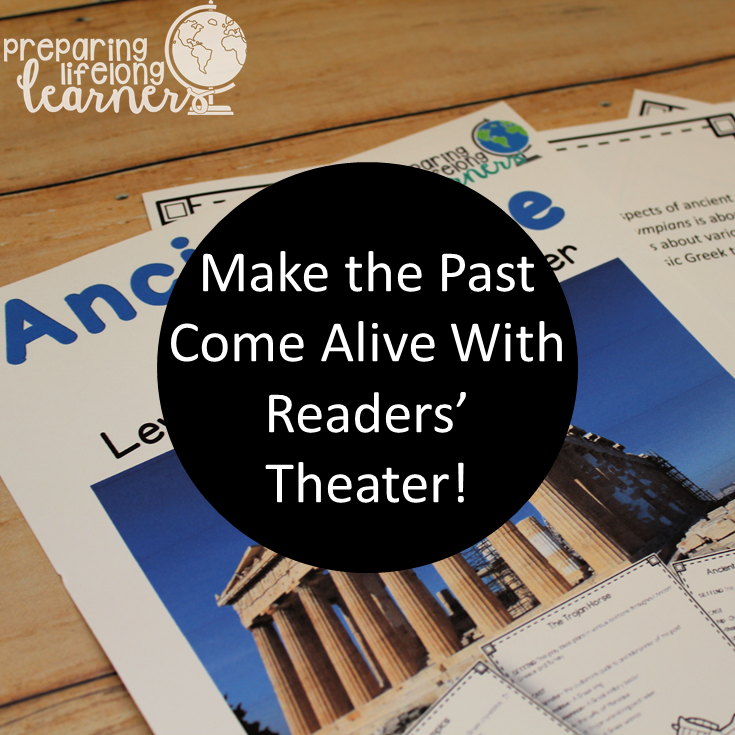 My leveled readers' theater plays are content-based historical plays with parts written at specific grade levels so even your most struggling readers can have success and learn about history while also working on their reading fluency. When I use them in my classroom, I provide a reflective writing prompt between each play that gets them to make connections between the play and the content we are studying. They come in groups of three and can be found at both my and my wife, Jen Robinson's stores. If these sound like they may be for you, click the links below to check them out, and as always, if you think someone else may benefit from these, please pass this post on! A Quick Way to Review Vocabulary Every Day! One of the growth goals I set for myself last year was to increase my students' vocabulary. I had always done vocabulary activities like KIM charts, Vocabulary Connection Charts and Vocabulary Task Cards, but upon further reflection, I realized that I was only really installing then using vocabulary terms with my students, and not overtly practicing it. I felt I could do better. One day while driving to school, a great idea hit me! 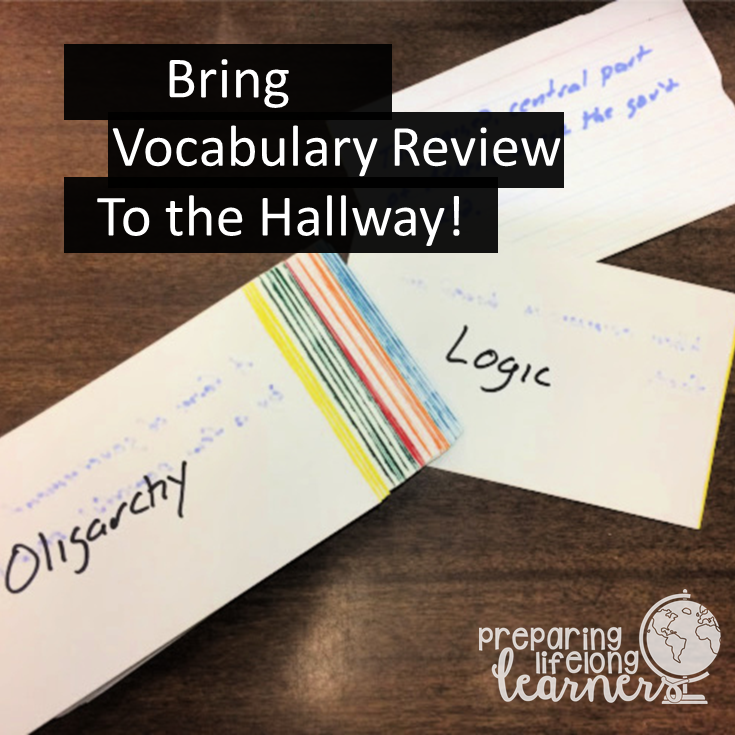 I had stumbled on a quick and easy way for my students to review all their vocabulary terms every day, and it would only take about two minutes of class time! 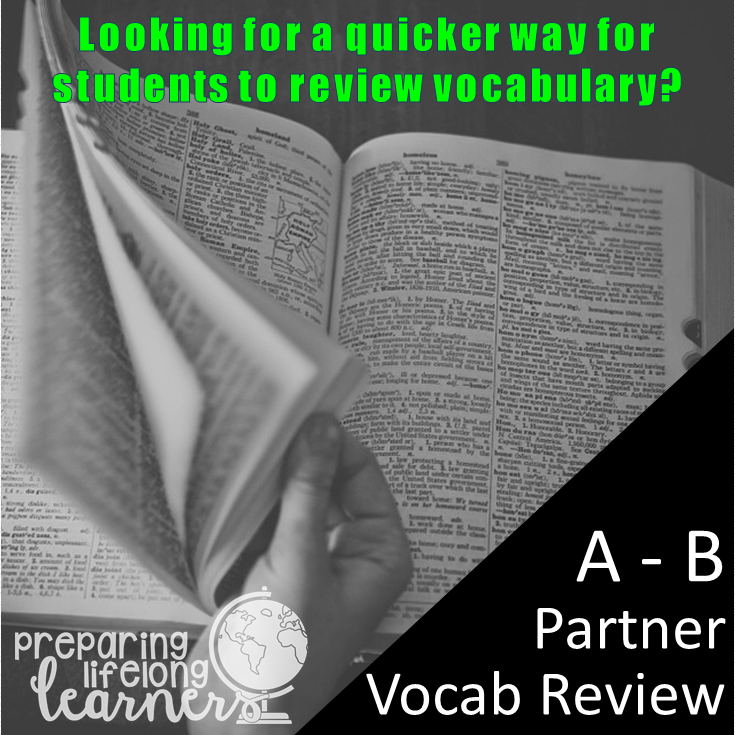 I call it A-B Partner (or Shoulder Partner or Letter Partner) Vocab Review, and we do it at the beginning of nearly every class. I project one of our unit's vocab words, and person A defines it to person B. If person B thinks they are correct, they give person A a quick thumbs up. After 10 seconds, person B gets to define the next word and so on. All told, 12 words takes 120 seconds (2 minutes)! Sometimes I vary it by projecting the definitions rather than the words and the students must recall the words as sometimes assessments ask vocab questions either way. I love this strategy. It's quick, easy, and effective. My students get engaged in the vocabulary, can see their progress day-to-day, and have averaged well over 90% on vocab quizzes since I started it! Do you know when the first toothbrushes were made? Me neither 'til I looked it up. My son asked me this question the other day, and after I googled a quick answer, I found myself clicking on websites to find out where they were invented and by whom. These searches led me to other questions and answers I didn't even know I wanted to know. For instance, modern looking toothbrushes were invented in 1498, and boar bristles were commonly used until 1938. So, what's all this have to do with teaching? Well, it's a strategy I use all the time to spark interest and generate questions. Presenting unusual or unexpected information makes kids - especially middle schoolers - curious. This curiosity sparks questions that can inspire future learning. For example, just before Christmas break, we were learning about ancient Egypt, and my students were losing focus and things were getting a bit stale (no mummy jokes please! ), so for my question focus, I showed a picture of a pyramid. Big deal, right? Egypt is full of pyramids, but so is Cahokia in Illinois! We had a brief discussion about how pyramids aren't just an "Egypt thing", why pyramids exist in the first place, and why they had never heard of the Cahokian ones. Then, with a new-found curiosity and enthusiasm, we learned about Egyptian pyramids! By the way, an early form of toothbrush existed as long ago as 3000 BCE throughout the ancient world. Who knew?